If you’re a Western gourmet who is waiting to get your hands on genuine Syrian olive oil, you’re in for a long wait. An exclusive Al Arabiya English analysis of bills of lading of Syrian companies that export their wares to the United States shows once lively trade routes with Damascus and Latakia are all but decimated by the last five years of civil war. It is now near-impossible for North Americans and other Westerners to buy products directly made in Syria. Long known for its olive oil, soap, and spice trade, Syria barely makes any legitimate shipments to U.S.-based retailers and wholesalers, the investigation found. Using a proprietary computer platform provided to Al Arabiya English by the global trade and market intelligence firm Panjiva, the research indicates that barely one or two sea-borne shipments from Syria arrive at ports in the United States each month. The majority of these shipments are limestone and other “cut stone products” mainly from two Syrian companies: Radwan & Bassel Sukkar Co., Shr and Shrayfy Marble & Granite. Al Arabiya English used the Panjiva digital trade platform to track sea-borne shipments of what used to be Syria’s most popular exports over a seven-year period. The effects of the war in Syria, the fifth anniversary of which was marked last week, can be seen in the steep drop-off of those Syrian export staples when the war began. What used to be tonnes of limestone shipping out several times a month barely leaves the country anymore. Also of interest is that the export of spices from Syria to the United States to McCormick & Co. Inc. of Hunt Valley, Maryland, one of America’s largest purveyors of spices, has continued. The firm East Med Crops Rigestrati of Homs, Syria, continues to be McCormick’s source. 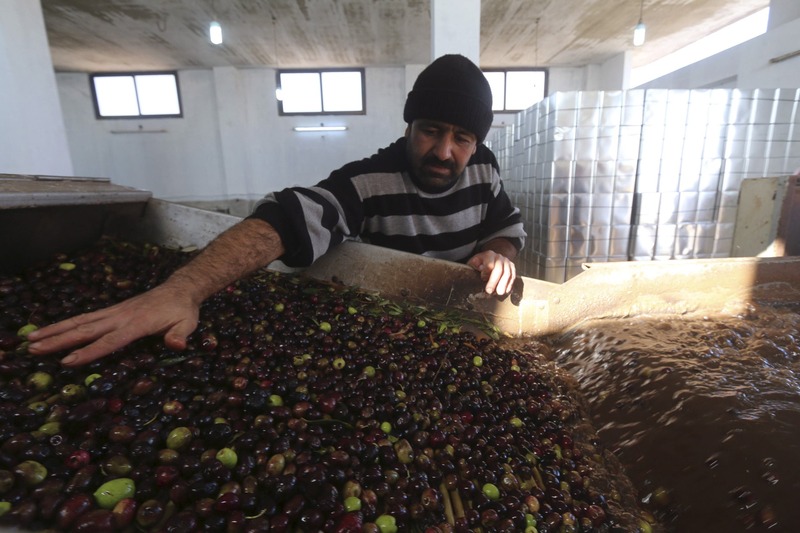 The only other steady imports of note are by the Omar and Mouhjar Karkour Food Processing Corp. of Damascus, which Panjiva’s records indicate occasionally ship crates of artichokes, jams, and canned eggplant with tahini. 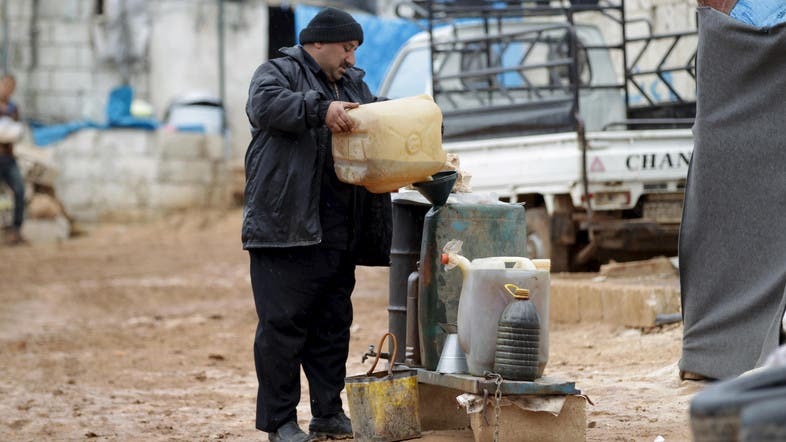 So are there any interior elements that keep today’s Syrian economy chugging along? One source is oil. Although no comprehensive information exists on the current state of the country’s pipelines, refineries, and storage assets – or which ones are under the firm control of the Syrian government as opposed to rebel groups – evidence points to the sale of oil as the likeliest of any real, substantial revenues for the state. According to bills of lading provided by Panjiva, the private sector ships occasional wares like small gift boxes, musical lutes, metal kitchenware, hats, towels, and indigenous crafts to the Levant such as carved wooden doors and tables. But most of those items come far more often and in far greater quantity from neighboring Lebanon. A concerted effort was made to buy any Syrian-made product from two of the most prominent Arab specialty stores on America’s eastern seaboard. The owners of both establishments wished to remain anonymous, but both of them went on record saying that the market for Syrian products hasn’t dried up. What has dried up, however, is the industrial capacity of the country, they said with frustration. One of the owners said that he is often asked for Syrian olive oil and soap. He said that although he doesn’t carry either product, he could obtain both items – through Lebanon, which would significantly raise their prices. The other merchant told Al Arabiya English that since the war began five years ago, he hasn’t been able to procure any Syrian products.